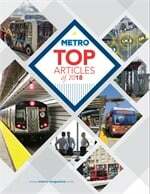 The Chicago Transit Authority completed the installation of 1,000 high-definition (HD) surveillance cameras throughout the Red and Blue line subway stations, making the entire system equipped with HD cameras — a valuable tool to help deter and solve crimes. Since May 2018, crews have been switching out old analog surveillance cameras with new HD cameras across all nine Red Line subway stations and all 12 Blue Line subway stations, as well as installing additional cameras to improve surveillance coverage. In total, 660 existing cameras were upgraded and 340 cameras were added, expanding the previous subway station camera coverage by more than 50%. CTA’s security camera network has more than doubled in size since 2011 and now boasts more than 32,000 cameras systemwide — making it the most comprehensive networks among major U.S. transit agencies. CTA’s cameras have been an invaluable tool for police as they investigate crimes committed on or near CTA properties, as well as identifying crime patterns and conducting remote surveillance missions. On average, images pulled from CTA’s cameras have aided police in arresting roughly 200 persons each year. The new HD surveillance found throughout the Red and Blue line subway stations have been an important tool to help Chicago Police identify crime suspects and detect crime patterns. Last month, cameras recently installed at the Roosevelt Red Line station aided CPD in the arrest of three individuals now charged in connection with an altercation that led to a CTA employee being stabbed. Upgraded cameras at the Jackson Blue Line station also assisted police in the arrest of an individual now charged in connection with an altercation that led to a victim being pushed to the tracks in December. Importantly, cameras are just one component in a multi-pronged effort towards combatting crime that also involves CTA employees, private security agencies and, most importantly, the Chicago Police Department, as well as suburban law enforcement agencies that provide security for the CTA. As part of the multi-year Safe & Secure program, a total of 1,000 new cameras will be added and more than 3,800 older-model cameras will be upgraded throughout the rail system. Additionally, new lighting, repairs, and other improvements will enhance safety at all 145 CTA rail stations. 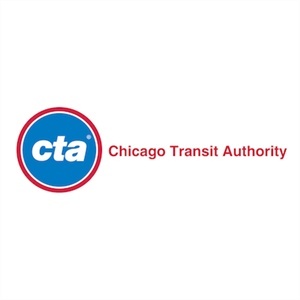 New HD cameras will also be installed at more than 100 CTA bus turnaround locations and video monitors will be added to all CTA rail stations to aid personnel in monitoring station and customer activity. CTA’s Safe and Secure is funded by Mayor Emanuel’s innovative fee on ride-hailing services, the first such fee in the country dedicated to public transportation improvements.